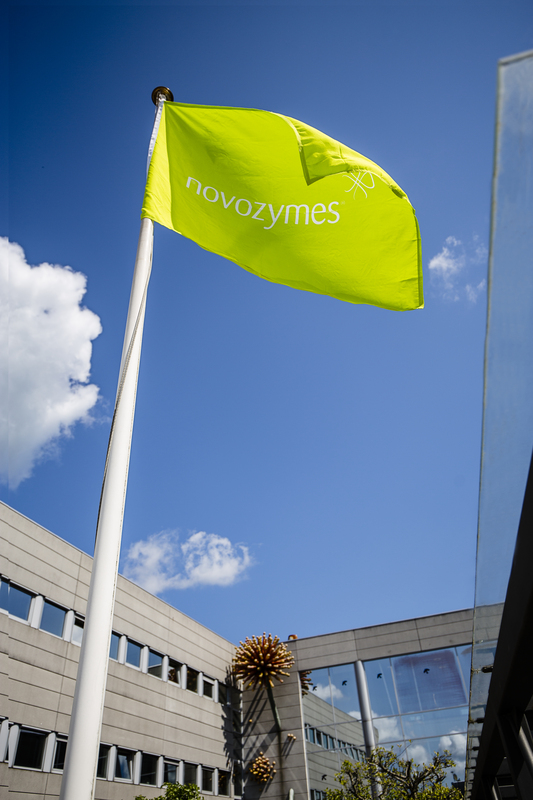 Get Novozymes’ latest company announcements, contact our spokespersons and media team, and download logos, images and videos. You can also browse our blog, social media feeds and search our news archive. If you are a member of the media, please contact one of our press officers. 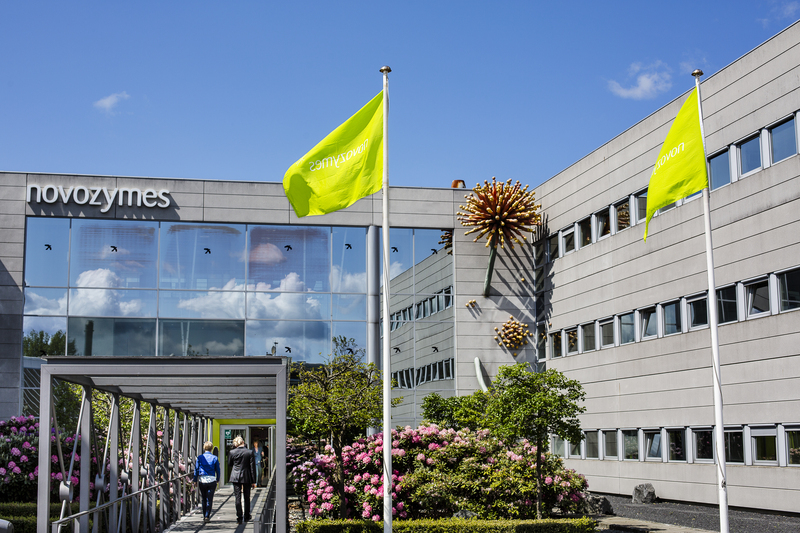 Novozymes spends 13 % on R&D and Claus Crone Fuglsang is responsible for driving Novozymes’ core research and technology development. 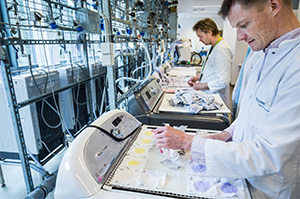 Claus Crone Fuglsang is responsible for driving Novozymes’ core research and technology development. 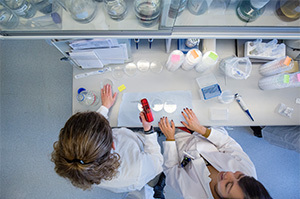 The Research & Technology unit expands and maintains Novozymes’ world-class competencies and technologies for the discovery and engineering of proteins, enzymes and microbial strains to create a greater customer impact across all Novozymes’ industries. Prior to his current position, Claus headed Novozymes’ bioenergy research, which consists of a portfolio of projects with more than 150 employees. 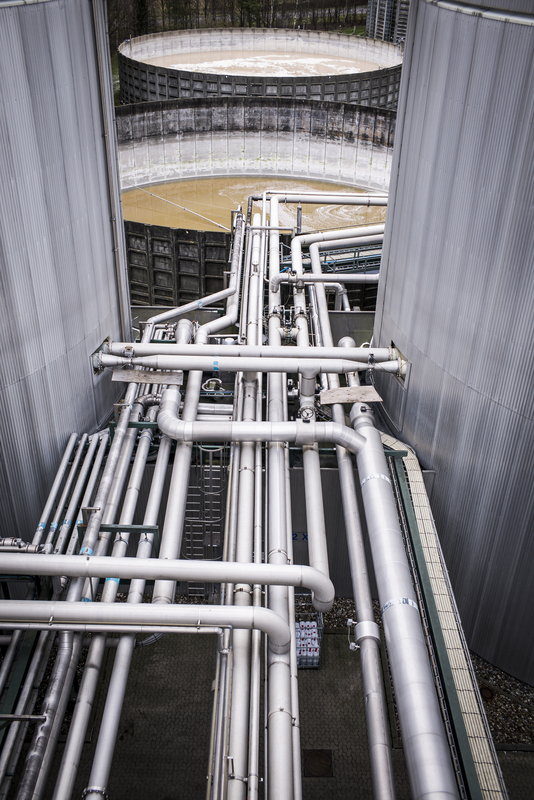 Claus played a big part in the development of the first commercial enzymes for the production of cellulosic ethanol, Novo-zymes’ Cellic® Ctec range, as well as new innovations and breakthroughs for the starch-based ethanol industry. 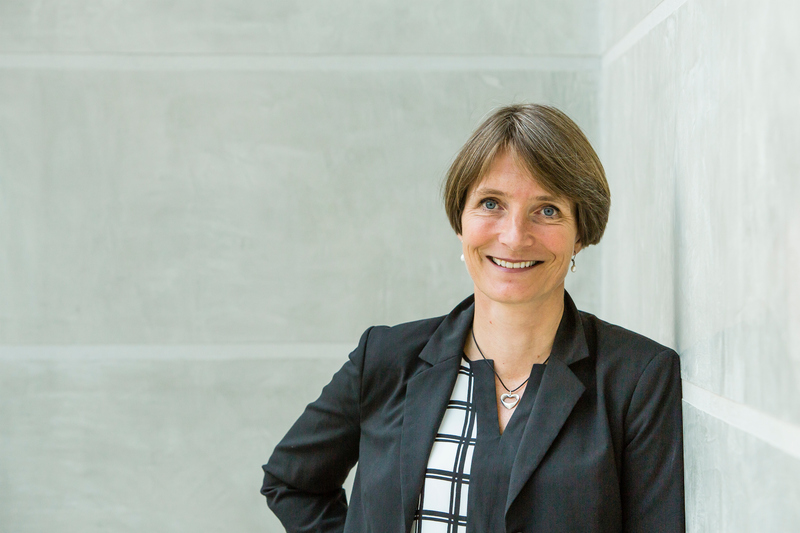 Claus started as a research scientist at Novozymes in 1993 and has experience from several leadership roles in R&D in Denmark and the U.S.
Claus has a Master’s degree in Biochemistry from the University of Copenhagen and an MBA from Heriot-Watt University, Edinburgh Business School. Claus is an expert on sustainability. He helps our clients and partners make their business more sustainable by using Novozymes’ products. 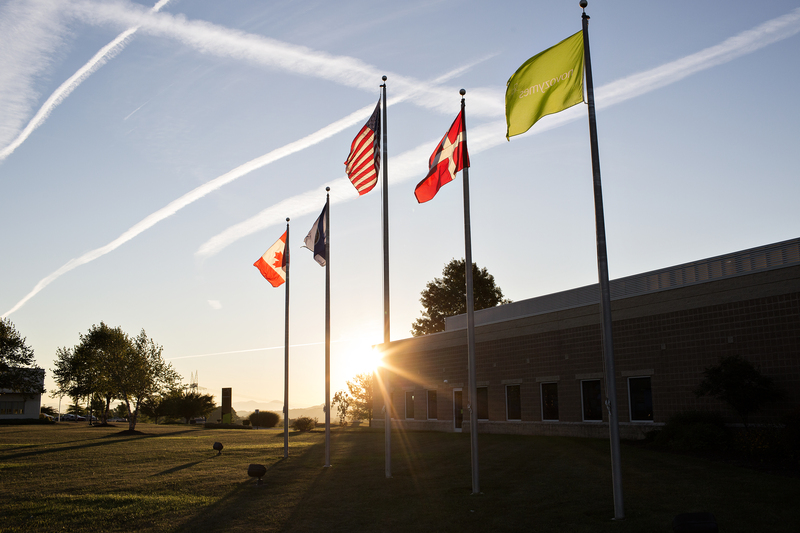 Sustainability is front and center of Novozymes’ purpose and strategy. Novozymes works closely with its customers and partners to make innovative and profitable solutions that enable better lives for people with less environmental impact. 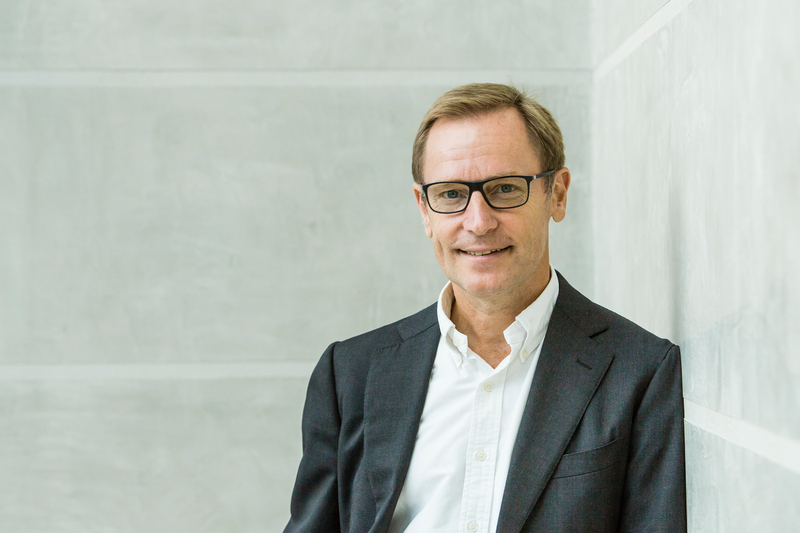 Throughout his career, Claus has been driven by the vision of combining “good for the world” with “good for business” and by being an employee at Novozymes, a global sustainability leader, he lives that vision every day. Claus holds a M.Sc. 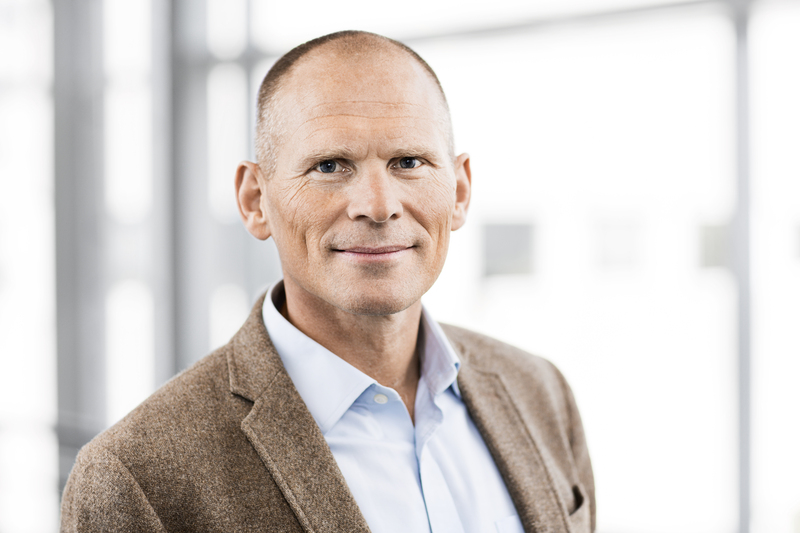 in Chemical Engineering and a Ph.D. in Sustainability Management and he is appointed Honorary Professor at the University of Aalborg and the Copenhagen Institute of Technology. Through his university engagements, he eagerly contributes to the development of future leaders. Claus has been professionally engaged in sustainability for more than 25 years and he was one of the pioneers in the development of LCA methodologies and sustainability concepts for business. 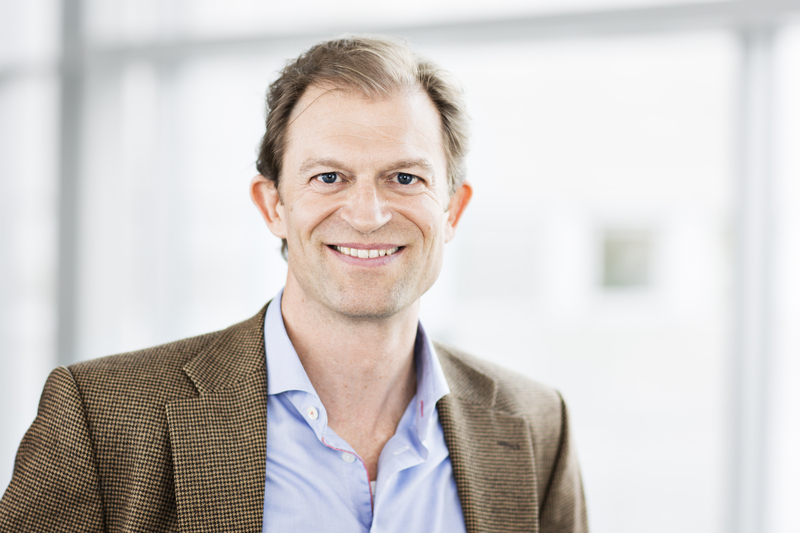 Claus Stig Pedersen is currently Liaison Delegate to the World Business Council for Sustainable Development (WBCSD) and he represents Novozymes in the UN Global Compact LEAD initiative. 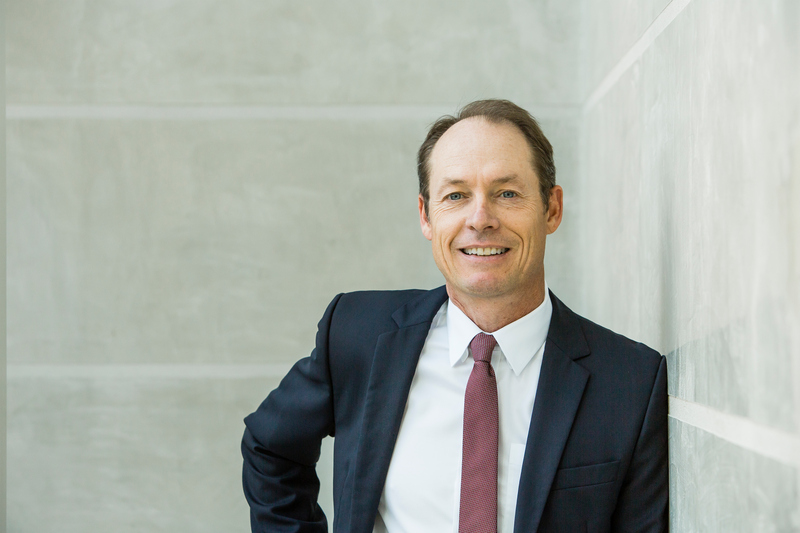 Claus is serving in the Sustainability Council to the company Ingersoll Rand and in the Advisory Board to the organization Sustainable Brands. Previously, Claus has served on sustainability boards and councils to Walmart, Procter & Gamble and The Sustainability Consortium. 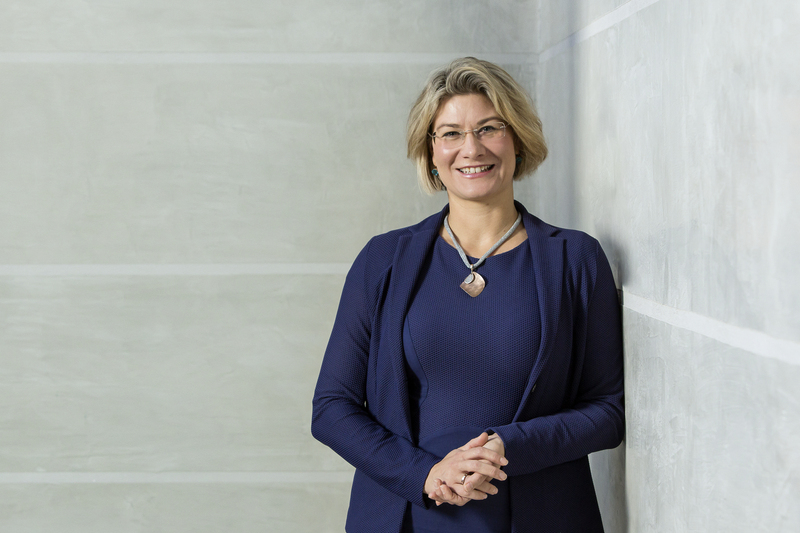 Novozymes has received numerous recognitions for leadership in sustainability, including number one rankings in Dow Jones World, the STOXX Sustainability Indexes and the Carbon Disclosure project. 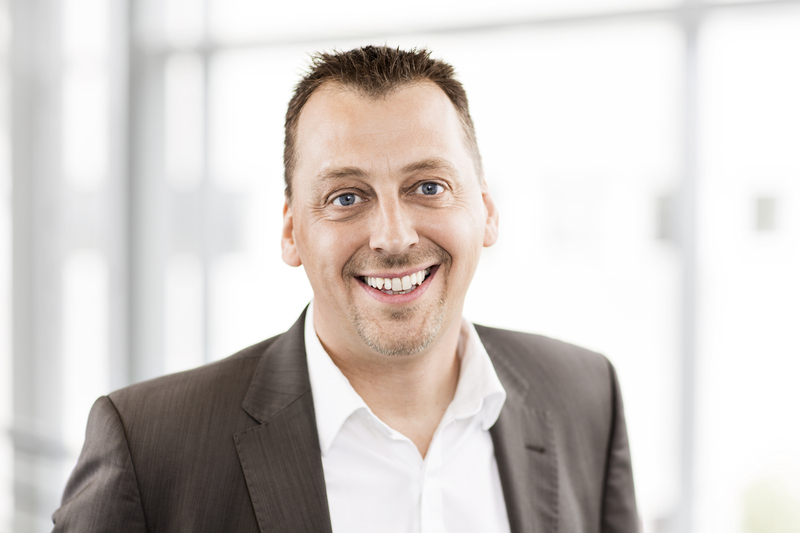 Since 2014, Rasmus is Vice President, Food & Beverages Global Marketing. As such he oversees global marketing activities as well as strategy, growth and profitability outlook as well as business development and new product development. 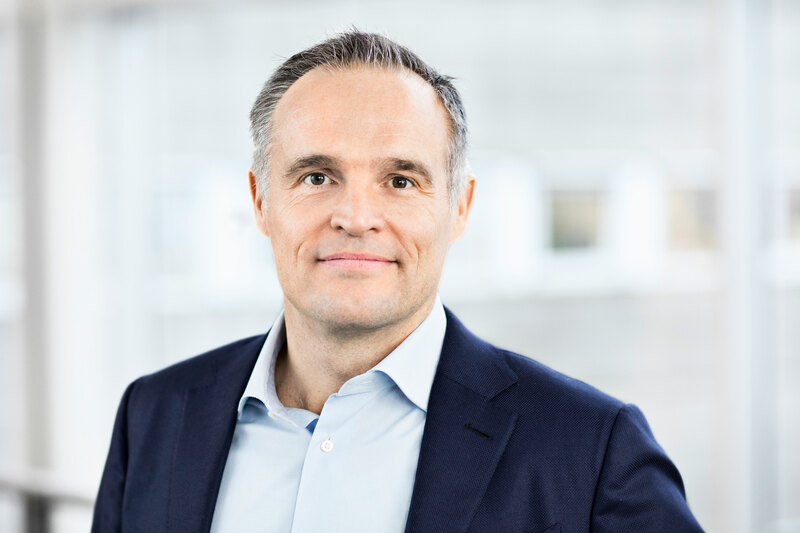 Rasmus joined Novozymes in 1999 as a Marketing Director, and since 2001 he has held various VP positions spanning marketing, commercial management, new business development, ventures, M&A, corporate strategy, portfolio management and more. 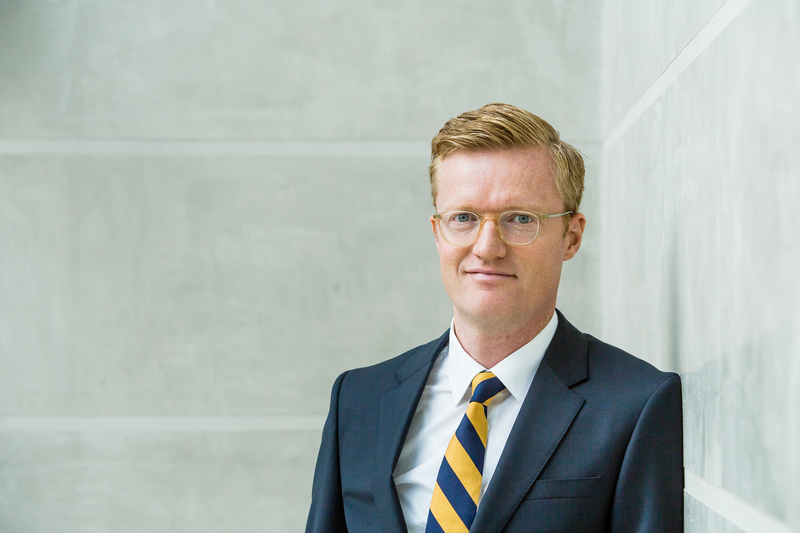 Prior to joining Novozymes, Rasmus spent five years in top management consulting. He completed his undergraduate studies in Engineering Physics at the Royal Institute of Technology in Stockholm and holds an MBA from ESCP Europe, Paris-Oxford-Berlin. 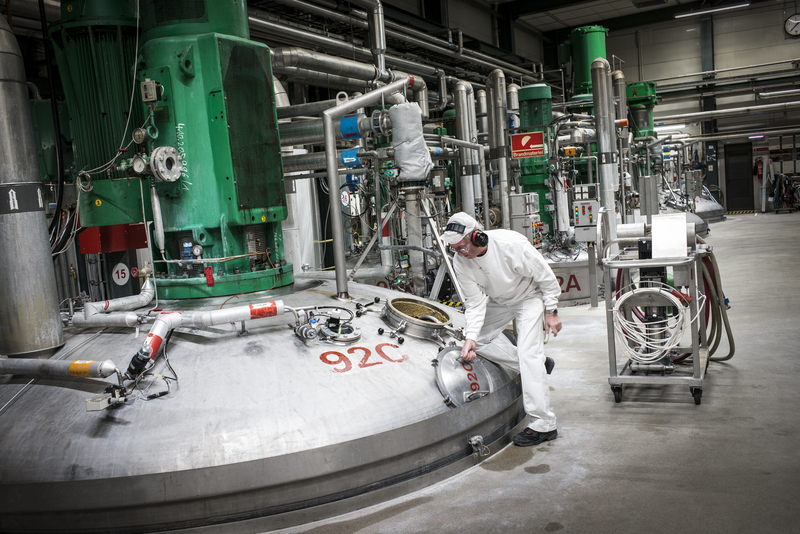 Novozymes has progressed the global bioenergy industry for decades, achieving technological breakthroughs with cutting-edge enzyme systems to decrease costs and increase yields. 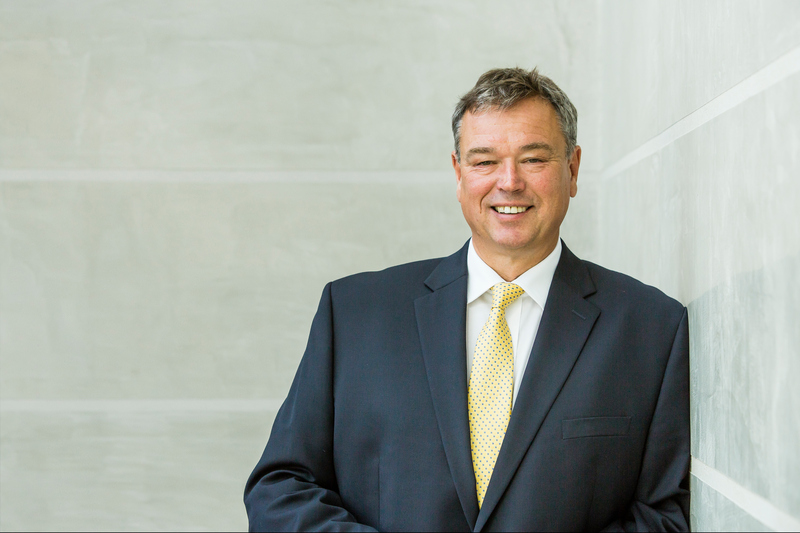 Thomas Schrøder is Vice President for Novozymes’ commercial activities in biorefining, covering cellulosic ethanol globally as well as starch-based ethanol in Europe, Middle East, Asia, Latin America, and the Pacific. Thomas also maintains a deep understanding of the political issues around bioenergy globally – for instance the Renewable Energy Directive in Europe, ethanol mandates in China and India, and RenovaBio in Brazil. He has worked in various infrastructure sectors for many years, with a focus on project finance, greenfield investments, M&A activities, and establishment and running of partnerships. 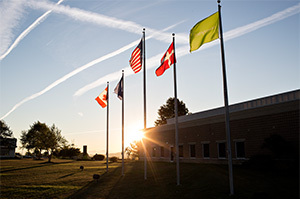 The flags of USA, Canada and Denmark at the Novozymes facility in Salem, Virginia. 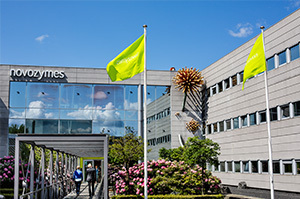 Novozymes’ headquarter in Bagsværd, Denmark on a summer day. 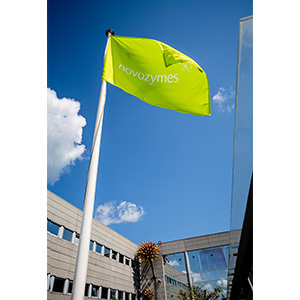 The Novozymes flag at the headquarter in Bagsværd, Denmark. Jerry cans of enzymes at a Novozymes production facility. Bagsværd, Denmark. 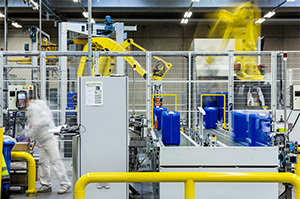 Two employees at a Novozymes’ production facility. Bagsværd, Denmark. Big bags of enzymes are packed and ready for delivery. 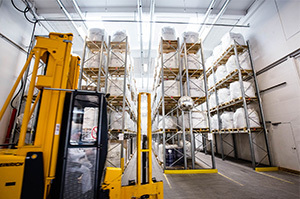 Novozymes warehouse, Bagsværd, Denmark. 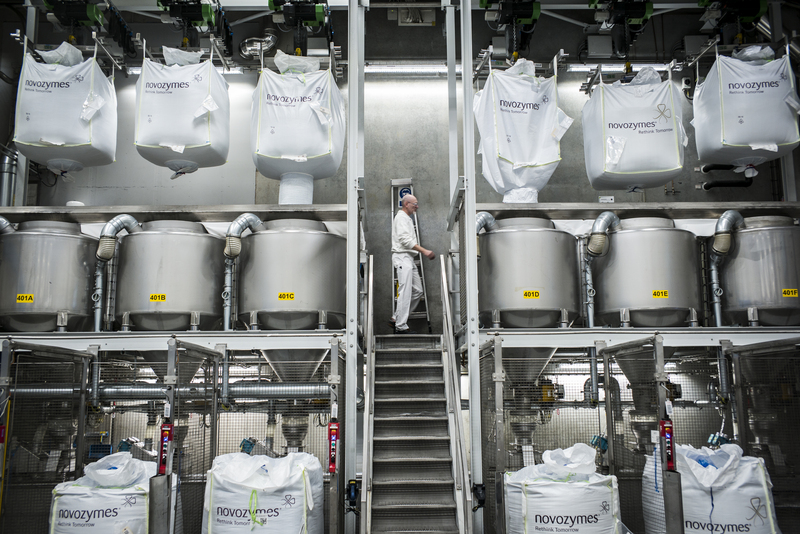 Novozymes’ bigbags are suitable for both recycling and incineration, and provide an economical transport system. 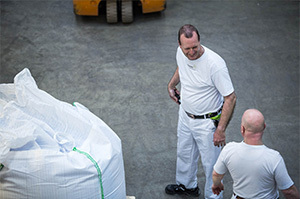 Here, bags of granulated enzymes are ready to be shipped, with Novozymes’ employee Claus Olsen operating the machinery. 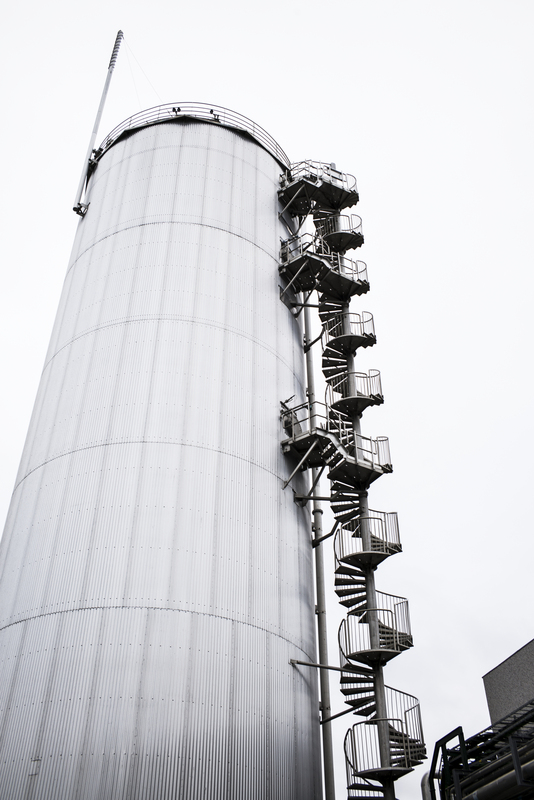 Together with partners, Novozymes has built a plant that doubles the recycling of residual biomass in Kalundborg. 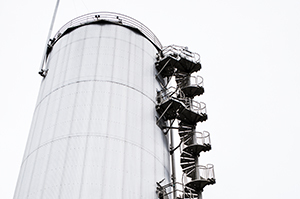 The plant converts the residual biomass into biogas, which is used as fertilizer on fields. 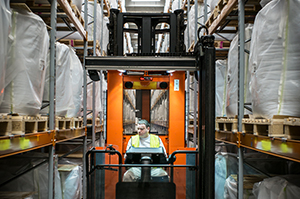 Novozymes handles all the waste material from both Novozymes and Novo Nordisk, one of the world’s largest pharmaceutical companies, in Kalundborg. 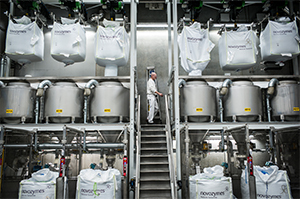 At Novozymes' enzyme plant in Kalundborg, Denmark, one of the world’s largest, enzymes are produced and packaged into large bags for customers across Europe. Novozymes has developed a huge collection of enzyme technologies over the years, supplying them to companies such as Unilever and Procter & Gamble. 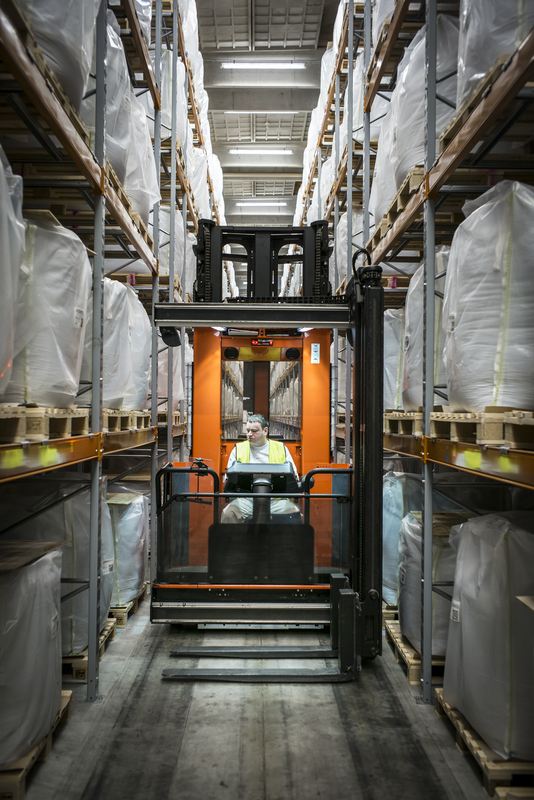 Novozymes’ site in Denmark is part of the Kalundborg Symbiosis – the world's first industrial symbiosis with a circular approach to production. 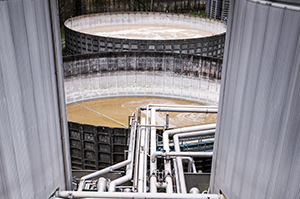 This biogas reactor transforms wastewater into biogas, making it possible to produce enough power to cover the consumption of 7,000 households in the city of Kalundborg. Fermentation tank. 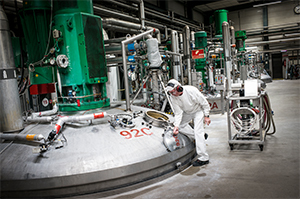 A Novozymes’ operator inspecting a fermentation tank at Novozymes’ site in Kalundborg, Denmark. Enzymes are produced in a fermentation process where raw materials come from a farm field, e.g. sugars, soy, starch and wheat. It is a biological process running 24/7, and after the enzymes have been recovered, the left-over biomass is recycled to produce biogas and as a fertilizer for agricultural fields. 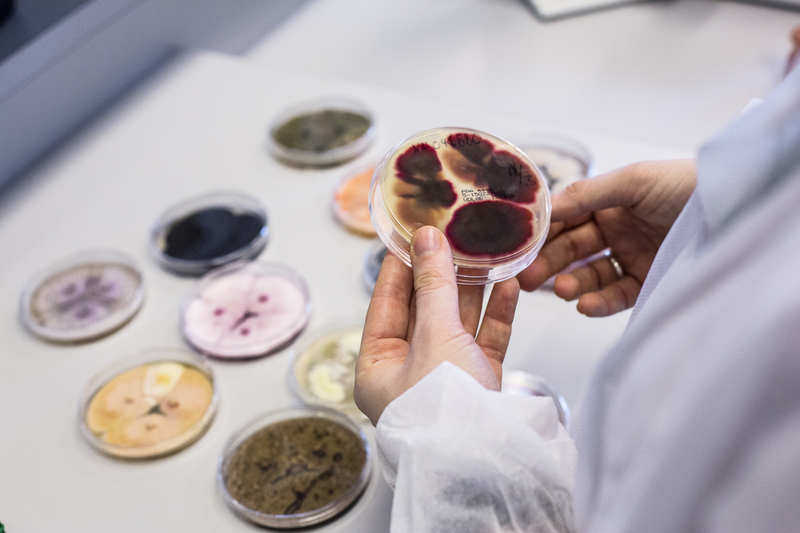 Novozymes researcher looking at fungi samples. Test samples in the lab. Lab worker testing stain removing enzymes. 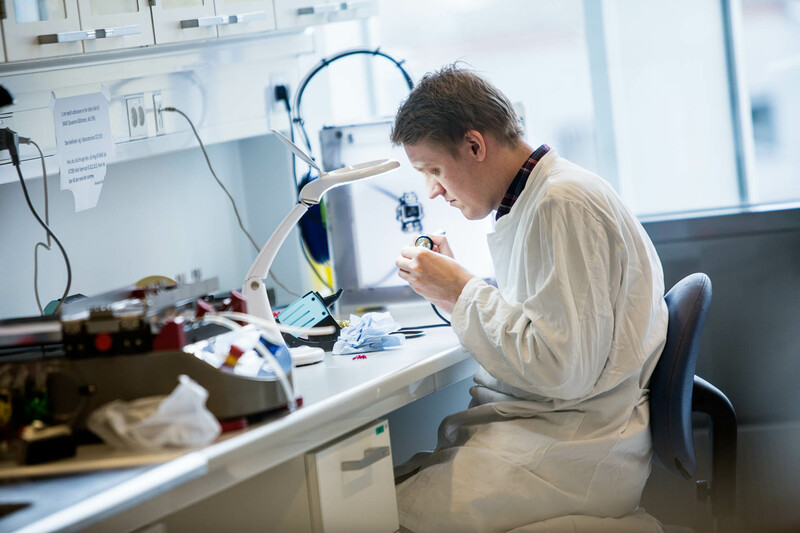 A lab worker examines samples at Novozymes’ research center, Bagsværd, Denmark. 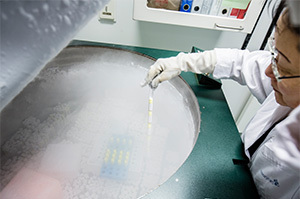 Researcher working at freezer containing Novozymes’ microbial collection. Bagsværd, Denmark. Researchers looking at test tubes at Novozymes research center in Franklinton, North Carolina. 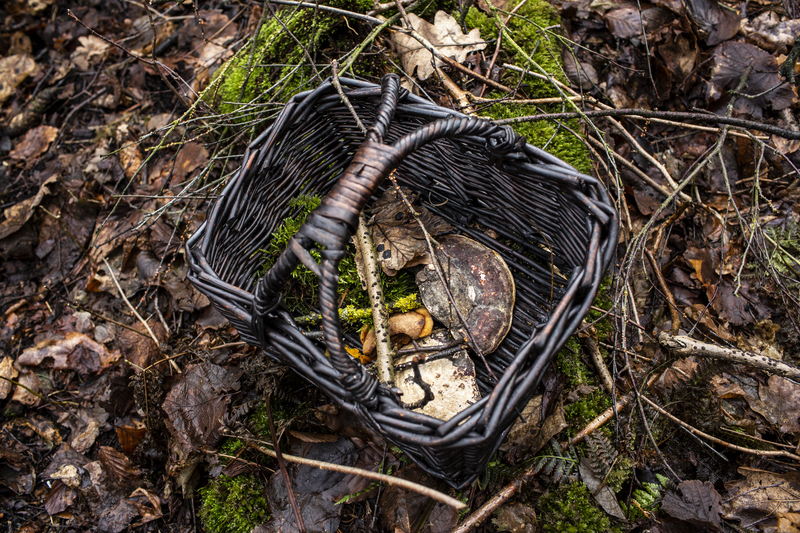 A basket full of fungi, after Novozymes’ mycologists have wandered through the woods in Hareskoven, near Copenhagen. 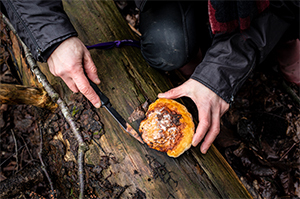 Autumn is the best time for fungus lovers to walk through the woods hunting for fungi. In Autumn, many fungi produce familiar mushrooms and toadstools thus becoming more visible, even though they are present in the soil all year round. 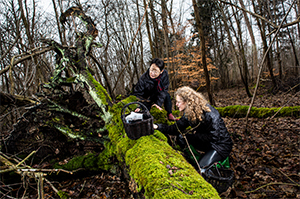 Mycologists from Novozymes, Mikako Sasa, left, and, Sara Landvik often wander through the woods looking for new and fascinating fungi. Here, they are looking for wood-degrading fungi on dead tree trunks in Hareskoven, near Copenhagen. Fungi have an important role in the ecosystem for degradation and turnover of biomass, such as trees and twigs that fall on the ground. Fomitopsis pinicola. 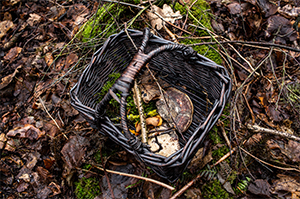 The woods are filled with colorful fungal treasures. Fungi come in many shapes, sizes and beautiful colors and grow everywhere in the presence of a suitable substrate. Novozymes mycologist, Mikako Sasa, is trying to cut the fungus off a dead tree in Hareskoven, near Copenhagen. 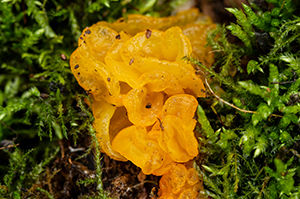 The fungus, with its characteristic acidic smell and yellowish orange surface is one of the most common wood degraders on spruce. 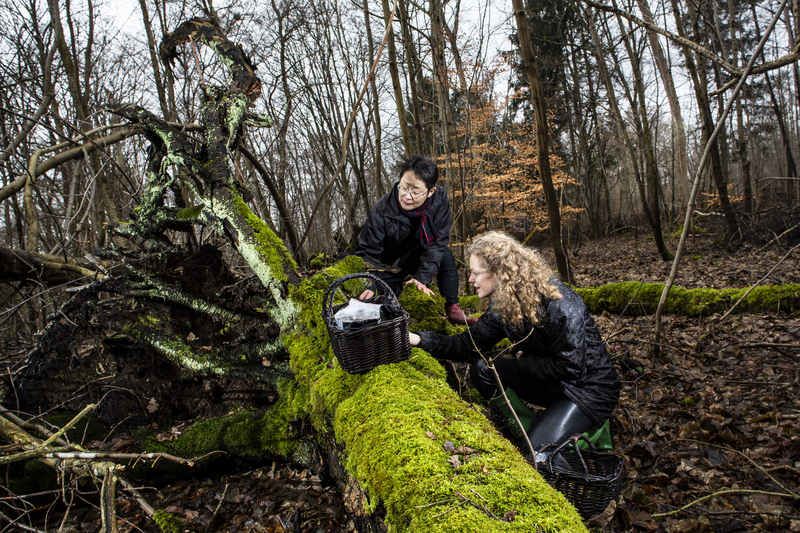 Mycologists from Novozymes, Sara Landvik, left, and Mikako Sasa, often wander through the woods looking for new and fascinating fungi. 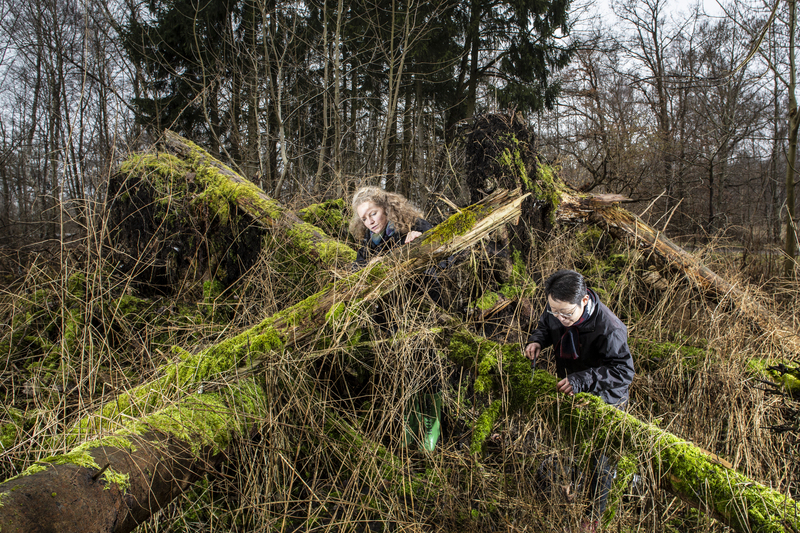 Here, they are looking for wood-degrading fungi on dead tree trunks in Hareskoven, near Copenhagen. 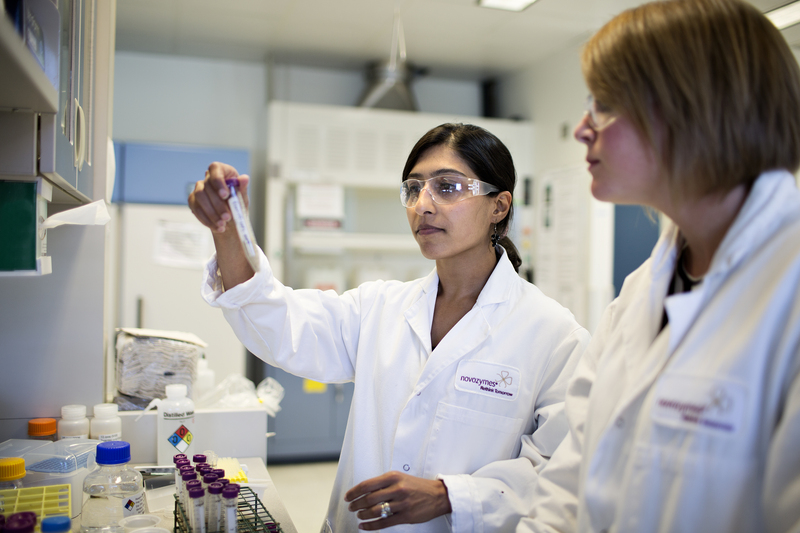 Novozymes’ enzymes originate from either bacteria or fungi, with the entire workflow beginning in the heart of nature. 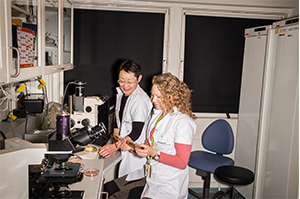 Mycologists from Novozymes, Mikako Sasa, left, and Sara Landvik in the lab at Novozymes’ research center in Bagsværd, near Copenhagen. Here they use a microscope to study fungi that have been isolated and cultivated on agar plates. 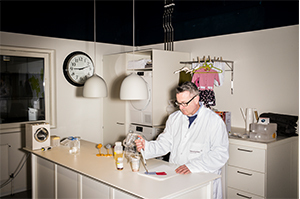 A Novozymes researcher, Leigh Murphy, performing tests on small pieces of clothes in the laboratories at Novozymes’ research center in Bagsværd, Denmark. Enzymes are widely used in the detergent industry, thanks to their many beneficial effects, such as helping cut energy consumption and achieving top cleaning performance. Here, enzymes are helping Leigh Murphy remove a tough café latte stain from the piece of fabric lying on the table. 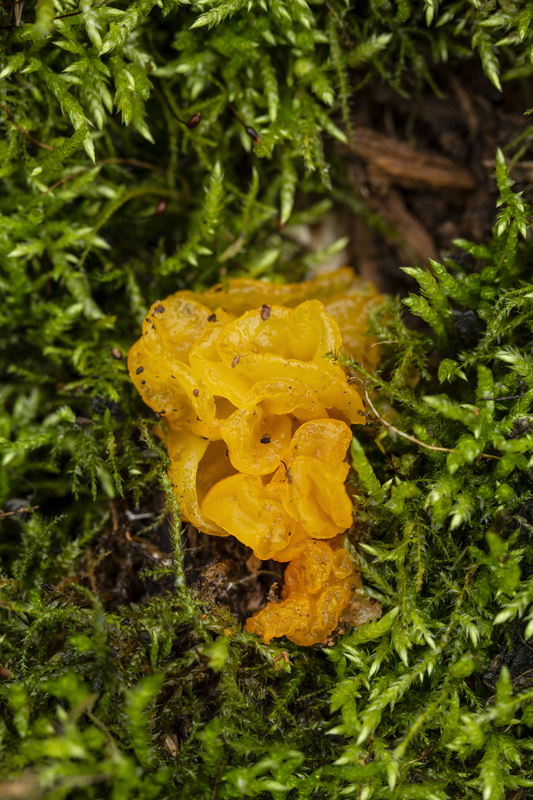 Tremella mesenterica. Here seen in Hareskoven, near Copenhagen. 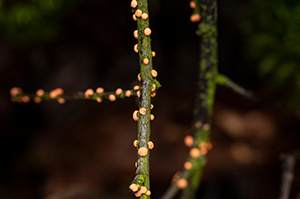 It is a fungal parasite, which grows on other fungi. It can get completely desiccated in dry weather, but as soon as it rains, it becomes active and develops slimy and jelly-like fruiting bodies. 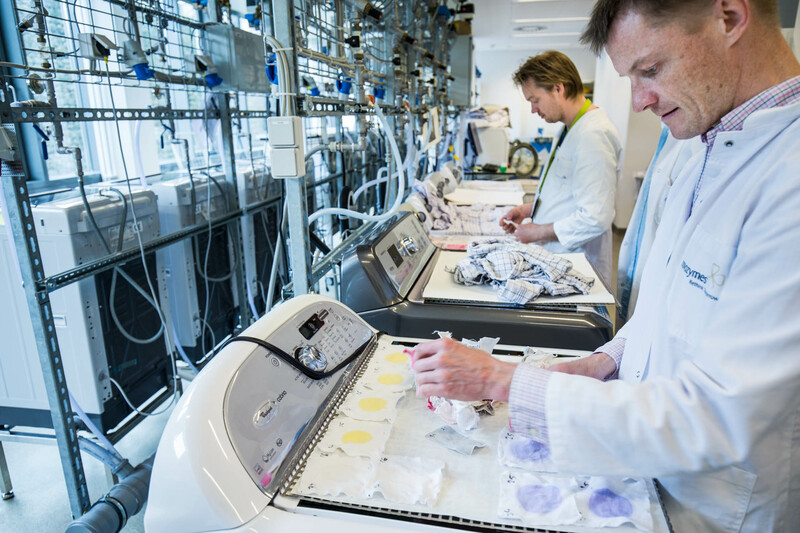 Novozymes’ enzymes are used across a range of different industries, for instance in laundry detergents where they enable low-temperature washing, saving energy and reducing emissions while increasing performance. The company’s enzymes originate from either bacteria or fungi, with the entire workflow beginning in nature. Nectria cinnabarina. 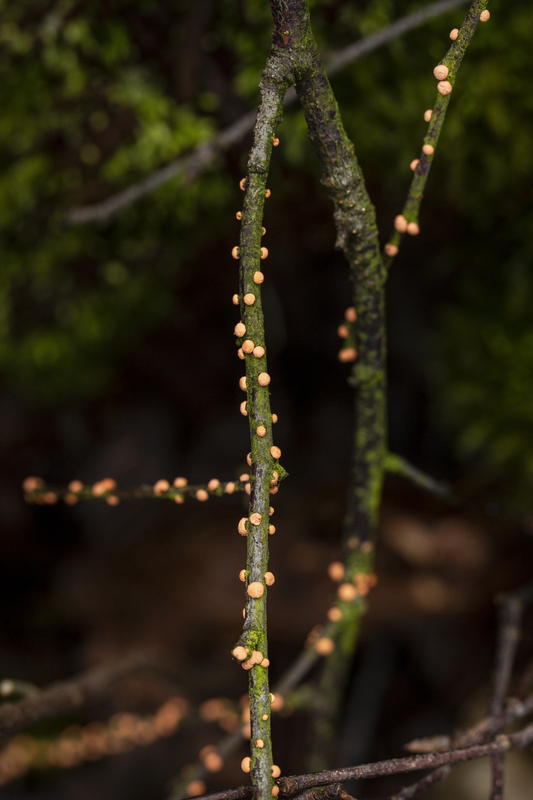 This coral-like fungus is using enzymes to degrade a beech twig in Hareskoven, near Copenhagen. Bacteria and fungi all secrete enzymes into the environment. When used in industry, this feature enables the production of high levels of enzymes, resulting in effective biological solutions. All the interesting bacteria and fungi found, will be preserved in nitrogen freezers at Novozymes for screening of various enzymes in the future.